A full painting service is provided, ranging from traditional coach painting to airless spraying. 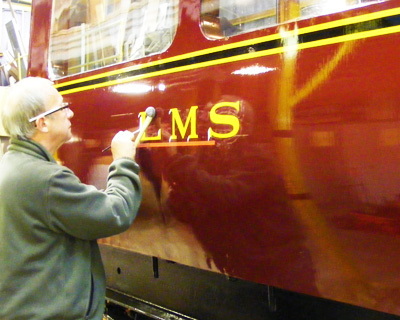 We use paints produced by a manufacturer with almost 250 years of experience in providing paints and products to the railways, therefore we can guarantee authentic colours, and a durable finish to provide lasting protection. 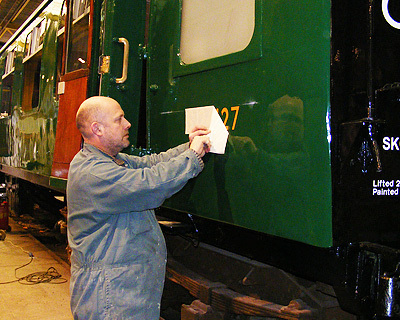 With many years’ experience of painting heritage transport vehicles, we can produce all styles of layout to suit both the vehicle and customer requirements. Numbering, lettering, lining and company branding can be supplied in vinyl application or traditionally sign-written.